Note: the period for nominations for 2019 WJTA Awards ends September 2, 2019. Members are invited to submit candidates for special awards presented by the WJTA. 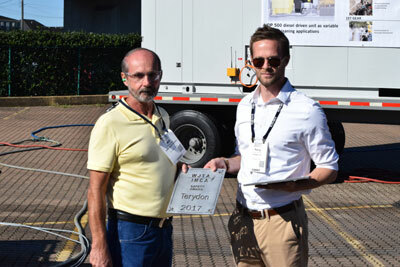 Awards honor a company, organization, or individual who has made a significant contribution to the industry through accomplishments that directly enhance waterjet technology and/or industrial vacuuming. 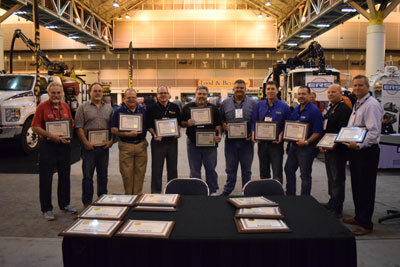 Award recipients will be selected by the WJTA Awards Committee and honored at a presentation ceremony on Tuesday, November 12, 2019, in conjunction with the 2019 WJTA Conference & Expo in New Orleans, Louisiana, USA. Service Award – How has the nominated company, organization, or individual contributed in time and talent toward improvement in the industry or in the WJTA? Technology Award – What has the nominated company, organization, or individual done to introduce new and innovative ideas in engineering or manufacturing? This could include, but is not limited to, new products, new manufacturing techniques, patents…any unique activity that advanced the technology of the waterjet and/or industrial cleaning industries. Safety Award – What has the nominated company, organization, or individual done to introduce new and innovative ideas in safety? This could include, but is not limited to new products, new concepts, new safety techniques…any unique activity that increases the overall safety of waterjet and/or industrial cleaning equipment. Nominations will be accepted through September 2, 2019. Both the nominator and nominee must be members in good standing of WJTA. 2017 Safety Award - Terydon, Inc.
2015 Pioneer Award - Lydia Frenzel, Ph.D.
Technology Award - StoneAge, Inc.
Technology Award - Seiji Shimizu, Ph.D.
Technology Award - Mamidala Ramulu, Ph.D.
Technology Award - Jay Zeng, Ph.D.
Service Award - Mohamed Hashish, Ph.D.
Technology Award - Ernest S. Geskin, Ph.D.
2001 Pioneer Award - George A. Savanick, Ph.D.
1999 Pioneer Award - Mohamed Hashish, Ph.D.
Technology Award - Ryoji Kobayashi, Ph.D.
1997 Pioneer Award - David A. Summers, Ph.D.
Service Award - Andrew F. Conn, Ph.D.
Technology Award - Thomas J. Kim, Ph.D.
1993 Pioneer Award - Fun-Den Wang, Ph.D.
Service Award - George A. Savanick, Ph.D. and Mohan Vijay, Ph.D.
1991 Pioneer Award - John H. Olsen, Ph.D.
1987 Pioneer Award - Norman Franz, Ph.D.
1985 Pioneer Award - William Cooley, D.Sc.